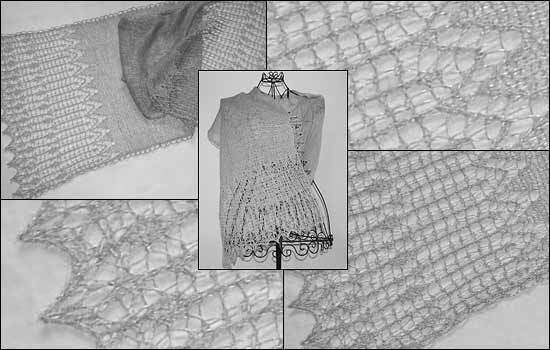 The scarf is knitted from the middle with a provisional cast-on and ends with a simple yet effective lace edging. No sewing or grafting required. The pattern enables you to work any desired size.